Port Anchor Hotel in Adelaide, The Port’s Best Kept Secret, wants you to come and enjoy a traditional pub meal and exceptional service. They pride themselves with fresh, affordable and delicious meals, 7 days a week. Book a table now, or just drop in and enjoy! 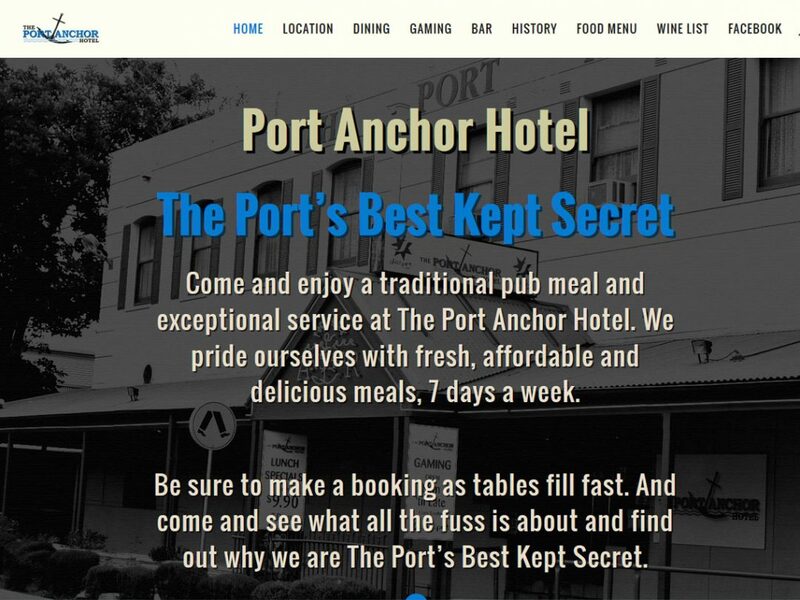 Port Anchor Hotel did not have a website before they contacted us for help. They had specific design wishes and wanted a website with a retro look and feel and bold large text. We designed a flat long website for easy of use on a mobile or any other device. We also created a menu that is easy for them to update, change and add to. Flat long page design for easy of use on small devices.